The Hispanic Business Leaders Committee of the SVACC invites you and your business, organization, etc. to participate in the 66th annual Fiesta Day Parade on Saturday, September 15, 2018! Sign up online. 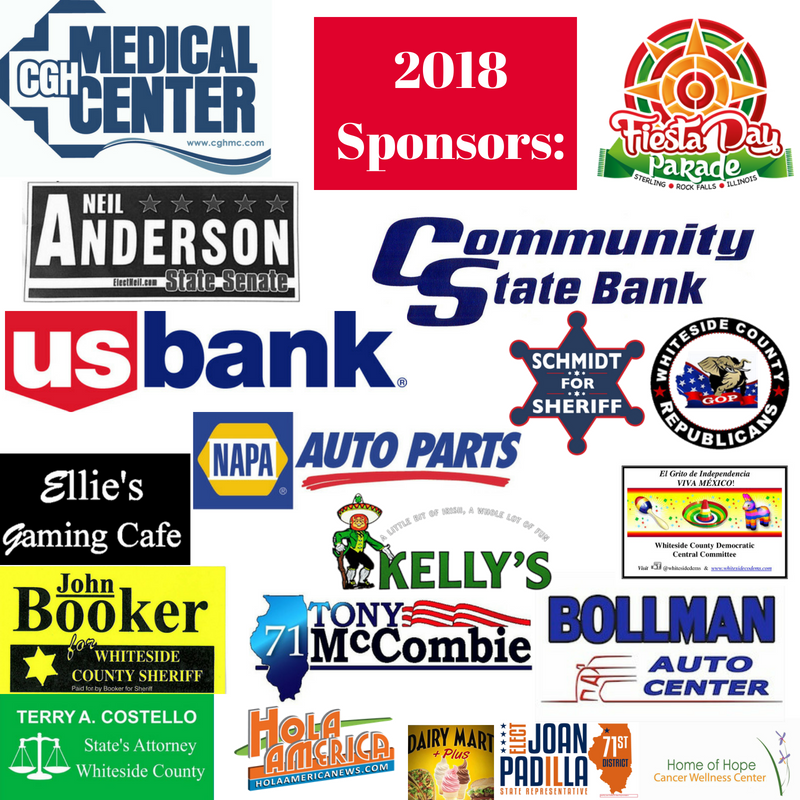 Thank You to our 2018 Fiesta Day Parade Sponsors! The Parade will begin at 1:00pm in Rock Falls. Parade Entries will line up on 10th Street. The parade will travel north on First Avenue in Rock Falls, cross the First Avenue bridge to Sterling. At the base of the bridge the parade will travel north on Locust Street to 4th Street and end at Grandon Civic Center in Sterling. The Hispanic Business Leaders Committee of the Sauk Valley Area Chamber of Commerce has organized the Fiesta Day Parade since 2013. HBLC is made up of Chamber members who are committed to enhancing the economic quality of life for Hispanic businesses and supporting the Hispanic community in the Sauk Valley area.